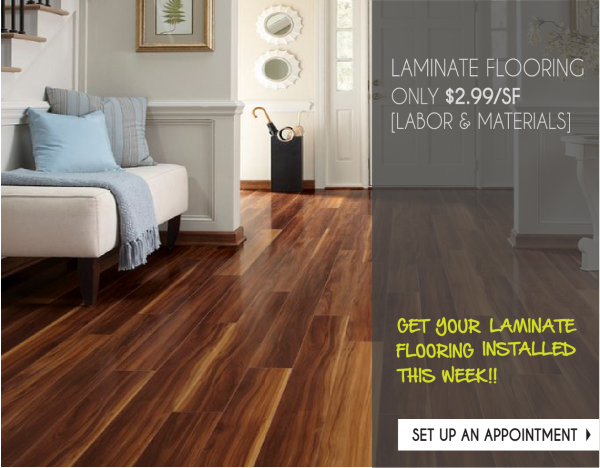 Laminate Sale Labor and Materials starting at $2.99 sq ft. Quality Brand Names Sold at the Lowest Prices. Call (503)451-5353 for a free in home estimate. Oregon City Laminate Flooring Sale Labor and Materials. Portland Flooring & Carpet of Oregon City is an Oregon City Laminate Flooring Outlet. We offer sales and professional installation of Oregon City Laminate Flooring. Guaranteed Installations.